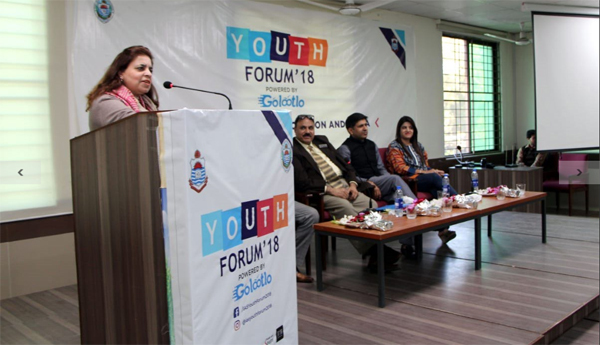 With the advent of winter season, BS Program students of IAS organized Youth Forum 2018, a two days event held from 22nd to 23rd November 2018, as part of their Social Media Marketing course. First day was comprised of an entrepreneurial activity where 100 stalls were setup. The whole event was sponsored by Title Sponsor; GoLootLo and other prominent contributors included Clive Shoes, Keune, Wintec Engineering, Masooms Bakery and Vital Tea. 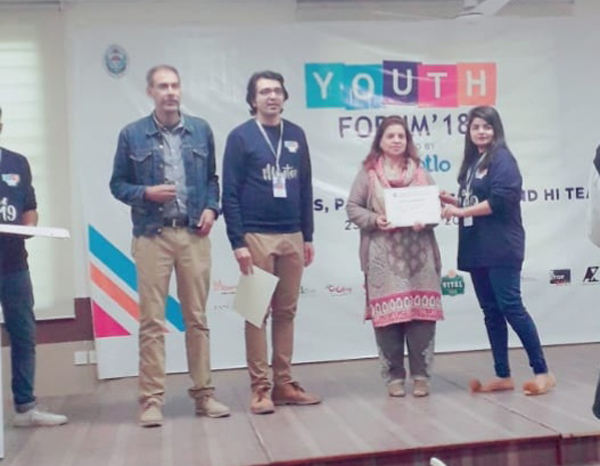 This forum was organized as a project under the course of “Social Media Marketing” where students practiced and learnt about event management, Social Media Marketing and selling skills. They underwent market analysis and developed the craft of preparing sponsorship proposals and acquiring sponsors at huge level. Alongside, the event was marketed through various social media channels like Facebook, Instagram and Snapchat. The stalls included eateries, accessories like shoes, jewelry, garments, bakery products, herbal beauty products, cosmetics, gaming booth and lot more attractions. A footfall of 3000 attendees was reported. The event was formally inaugurated by Prof. Dr. Nasira Jabeen – Dean FEMS and Director IAS, alongwith Mr. Muhammad Zahid - BS Program Coordinator and other faculty and staff members, Dr. A.R. Jafri, Dr. Sidra Irfan, Dr. Nighat Ansari, Col. Muzafar Ali, Mr. Shahzad Ahmad, Ms. Sameen Zaki, Ms. Noor Tariq, Ms. Zulaikha Mahmood and Dr. Aamir Sarwar. 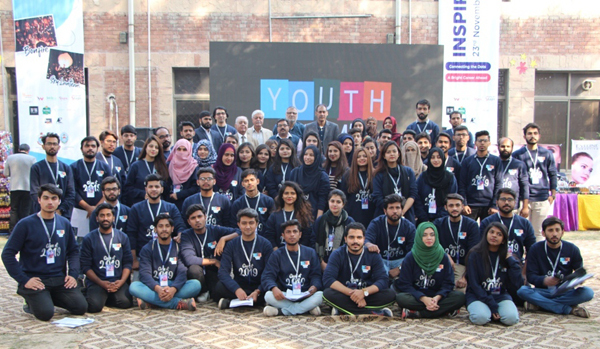 Prof. Dr. Nasira appreciated the efforts put in by students in organizing the big event under the kind supervision of Mr. Asad Awan, the course instructor. Students enjoyed this collaborative effort where they had a chance to have a hands-on practice of team work and leadership. The 2nd day of the program was dedicated to the eminent speakers to engage youth through their motivational talks. A series of sessions and workshops were arranged based on the professional development aspects for students. 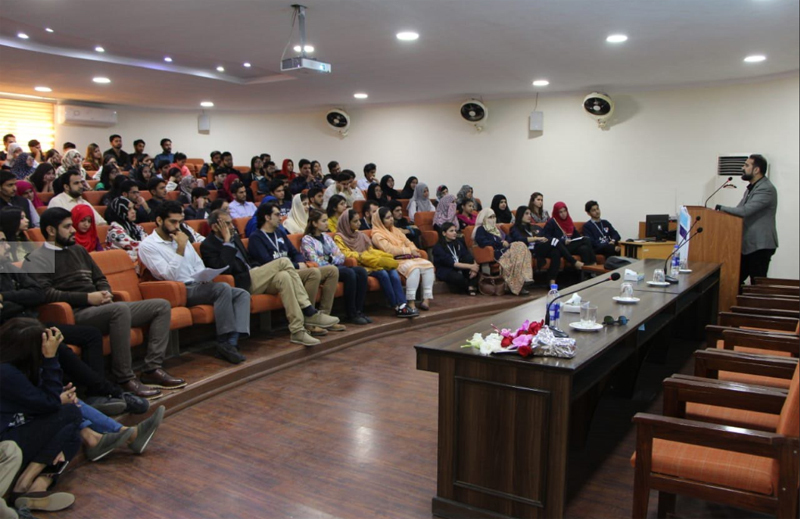 Mr. Muhammad Zahid – BS Program Coordinator shared an introductory note with the audience where he mentioned the significance of professional development as one of the integral part of individual’s personal goals. Industry professionals were invited to deliver talks on the themes of ‘Connecting the dots’ and ‘A bright career ahead’. The concurrent workshops were attended by a large number of students. 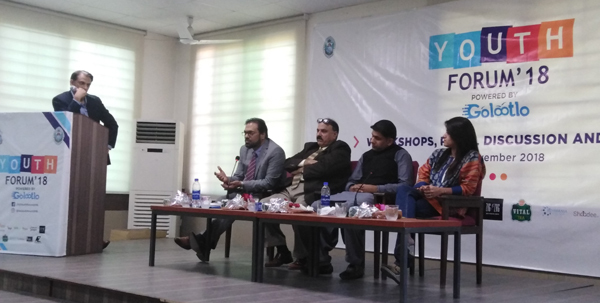 In the latter half of the day, a panel discussion on the theme of ‘Problems to Opportunities’ was moderated by Mr. Moazam Shahbaz, TV Journalist and Higher Education Policy Expert. 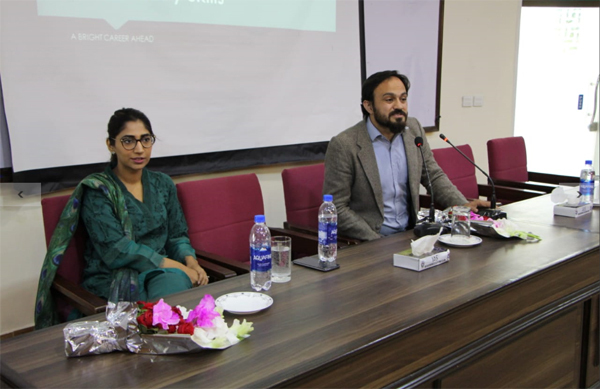 Panelists included: Mr. Abdul Wahid Qureshi - CFO Berger Paints, Ms. Sana Rauf, HR Business Partner, CCI, Mr. Sahibzada Abbas Rehmani, CEO of Keune, and Mr. Ghulam Mustafa (CEO of Epic Consulting Group). The panelists discussed the solutions to the problems identified by students in their personal and academic domains. The international experiences shared by the corporate professionals provided a global perspective to the audience on employment and entrepreneurial skills and behaviors that are required by the industry. At the closing note, Prof. Dr. Nasira Jabeen shared her gratitude to all the guest speakers who invested their time in sharing their invaluable experiences from the corporate and private sector. 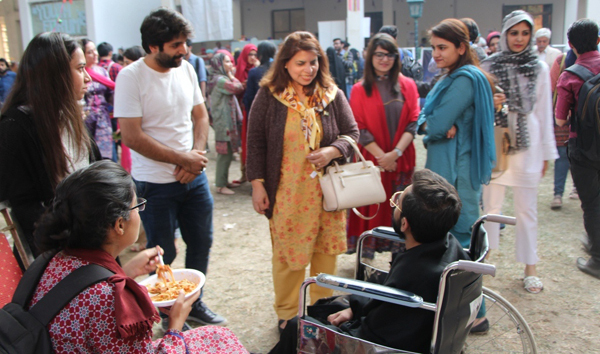 Dr. Jabeen acknowledged and appreciated the efforts put in by all students, faculty and specially admired the efforts of course instructor, Mr. Asad Awan alongside administrative team of IAS to support in successfully conducting the two days event. She appreciated the spirit of publicness and community service that has been shown through the class projects including the Green Week, Cancer Awareness Week and Youth Forum, that truly depicted life skills. 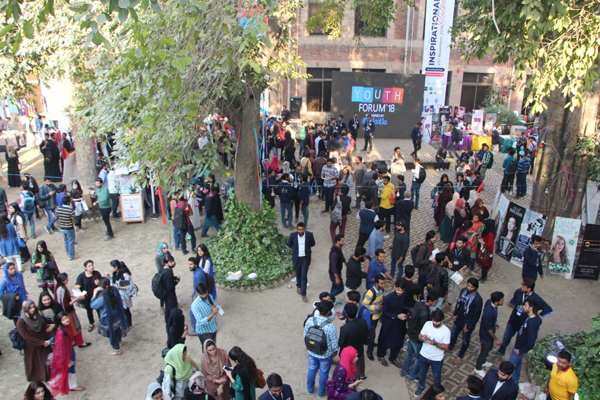 The event was followed by networking tea among the students and the guests. Certificates for participation were distributed among students.